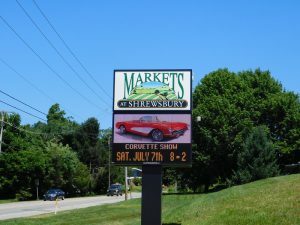 The 2019 Markets at Shrewsbury Corvette Show, a 6 NCCC Sanction Show, will be held Saturday July 13, 2019. We had over 125 Corvettes, from C1 to C7 turnout for the 2018 event! This show is always great turn out due to the famous Amish Markets food and hospitality! We thank the Markets at Shrewsbury for once again hosting this annual event. Congratulations to our 2018 Winners! !